In this video, I will show you how to prepare Japanese breakfast and what kind of dishes you can keep in stock in the fridge. I will show you the EASIEST examples so that you can make it every day. 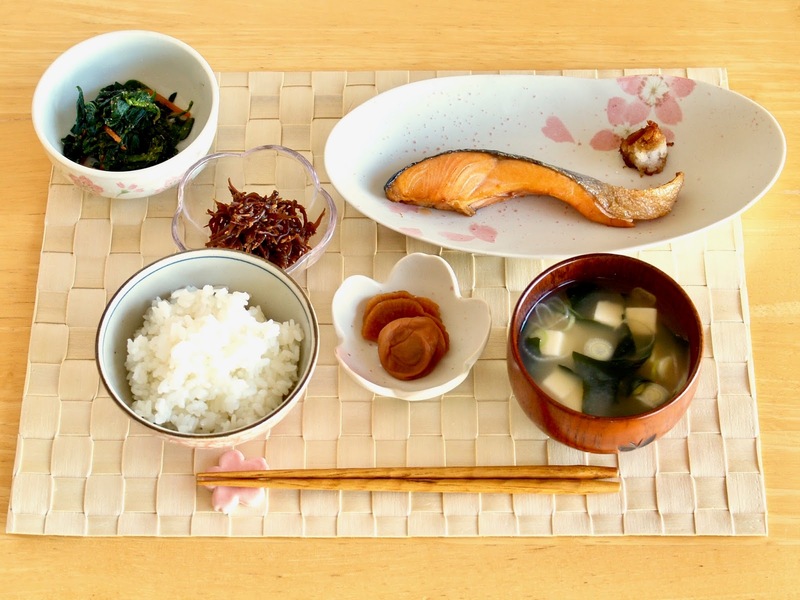 A typical Japanese breakfast consists of white rice (主食 Shushoku: staple food in Japan), soup (汁物 Shirumono: usually the Miso soup), 1 main dish (主菜 Shusai: usually Yakizakana the grilled fish), 1 or 2 side dishes (副菜 Fukusai: usually vegetable dishes) and pickled vegetables if you like. There is no rule to say this is Main or Side. 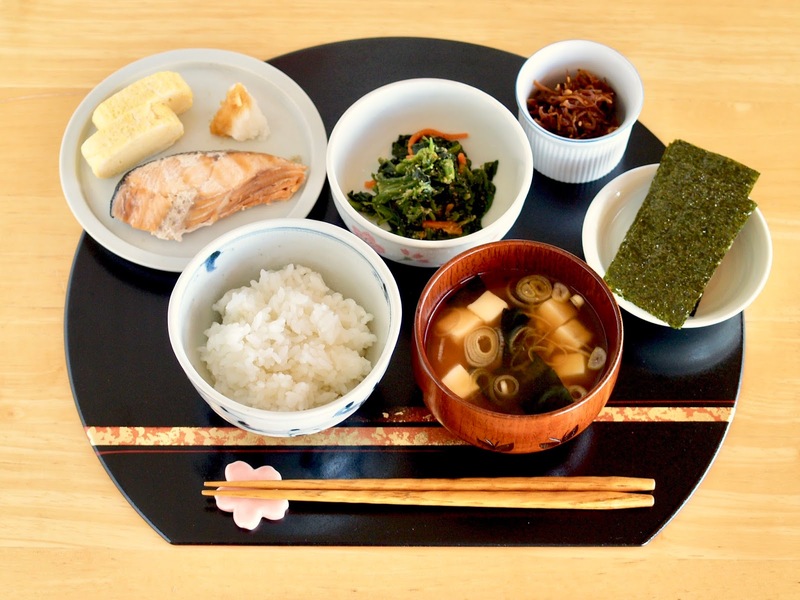 Usually the main dish contains meat or fish, side dish contains vegetables, but if you serve in a small portion, it will become a side dish. So I have the main and the side dishes in the same playlist. 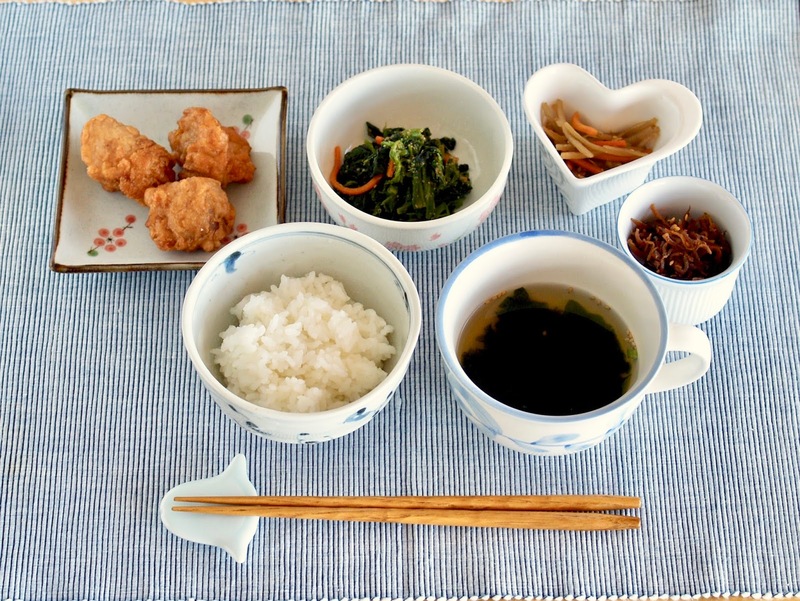 FYI: When you keep some side dishes in stock in the fridge, we call those 常備菜 (Jyoubisai). 1. Leave one sheet of husk around the corn. 2. Place it on a microwavable dish or wrap in plastic wrap (to save dish washing). 3. Microwave at 500w (medium) for 5 minutes. 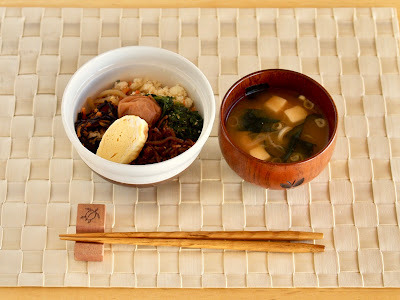 Gari (Sushi ginger) is the slices of ginger that have been pickled in sweetened vinegar, most of the time served with Sushi. With this recipe, you can eat it in 3 hours, keep in the fridge good for about 3 days. If you want to make pink Gari, please use young ginger. 1. Pour some hot water in a glass cup to disinfect it. Empty the jar and dry it out. It will dry quickly with residual heat. 3. Boil for 2-3 minutes to remove the bitter taste. Leave to cool, then drain well using paper towels. 4. Heat the vinegar, sugar, and salt to mix well. You can either use a pot or a microwave. 5. Place the sweetened vinegar and the ginger slices in the disinfected cup. You can eat it after 3 hours. * You can keep in the fridge good for about 3 days. 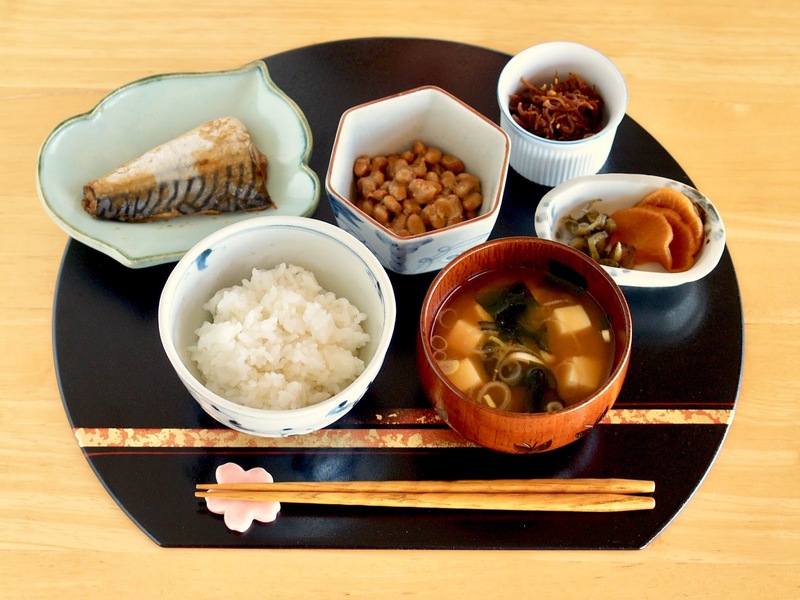 Edamame (green soybeans) are perfect meal starter, commonly served at Japanese restaurants. 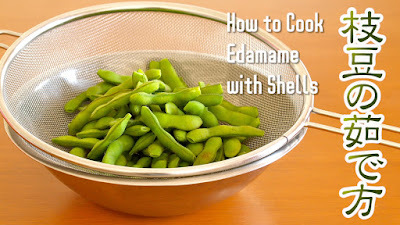 This video will show you how to cook fresh Edamame with Shells with Perfect Saltiness. If you get some fresh Edamame with shells, you want to cook them within a day or they can get bad and lose nutrients quickly. If you cannot eat them on the day you bought, you want to cook and keep them in the freezer. You can keep them good for about a month. 1. Cut off both ends of the pods with scissors (in this way salty taste will soak through them). Then rub the Edamame bean pods with 1 tbsp. of salt to remove the surface fuzz. 2. Put water and 2 tbsp. of salt in a large pot. Bring to a boil and add Edamame (leave the salt on). Cook for 3.5 min to 5 min. Little hard is okay. Do not cook more than 5 minutes or they lose the flavor. 3. Drain well in a strainer, then use a fan to cool. You can keep cooked Edamame in the freezer for a month in a Ziploc bag. 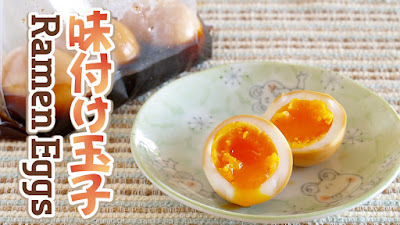 Ramen Eggs, also called Nitamago, Ajitama, or Ajitsuke-tamago, are savory soft-boiled eggs with creamy runny egg yolk, known as Ramen topping. 2. Tap each egg with a spoon to make cracks in the bottom of the shell. OR you can poke a small hole using an "Egg Hole Puncher". (Water goes in between the egg and the shell which helps the shell to come off). 3. Place the eggs in a strainer and place it in boiling water, the crack-side up (to let water in). The strainer prevents eggs from hitting the bottom of the pot. 4. Boil for 7 minutes. Place them in water to cool, then peel. 5. Place the Tare seasonings in a Ziploc bag and mix well. Then place the eggs, close securely, and put in the fridge for about 30 minutes ~ 12 hours, rolling over once in a while. 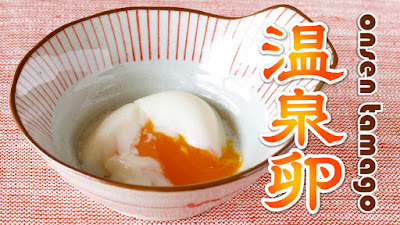 If you soak the eggs too long, they become salty and the egg yolks pectize (like jelly). Please eat when you think are ready. I think it becomes too salty after 12 hours. You can get an "Egg Hole Puncher" at Daiso 100yen shop to poke a hole in the egg. 2. Stop the heat and place the eggs. 3. If the eggs are cold just out from the fridge, leave for 15 minutes. If the eggs are at the room temperature, leave for 10 minutes. 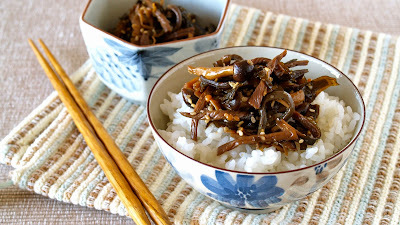 soy sauce I recommend is "Matsuno Shoyu 松野醤油"
Tsuyu I recommend is "Yamaki Kappo Shiro Dashi (White Dashi) ヤマキ 割烹白だし"
You don't need to adjust the heat. 10 minutes on medium-high, 10 minutes steaming! Then you will get perfect steamed rice :) ENJOY!!! 1. Measure the rice with a measuring cup for rice and put it in a bowl. 2. Wash the rice with cold water. As for 2 cups, wash 4 or 5 times. Water does not have to be clear but somewhat clean. Then drain. 3. Place the rice in the pot and add water. 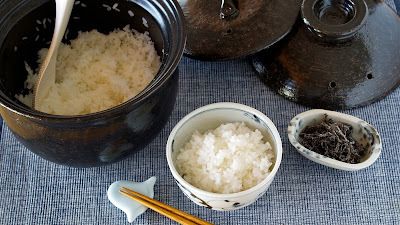 Let the rice soak in the water at least 30 minutes. 4. Place the inner lid and upper lid, make sure the holes of both lids won't overlap and arranged to cross each other at right angle. 5. Set the pot on the gas stove and heat on medium high for 10 minutes. 6. Turn off the heat and let it steam for about 10-15 minutes. 7. Toss the rice lightly with a rice paddle and serve. NOTE: The amount of water should be adjusted depending on how firm you like your rice and the condition of the rice itself. 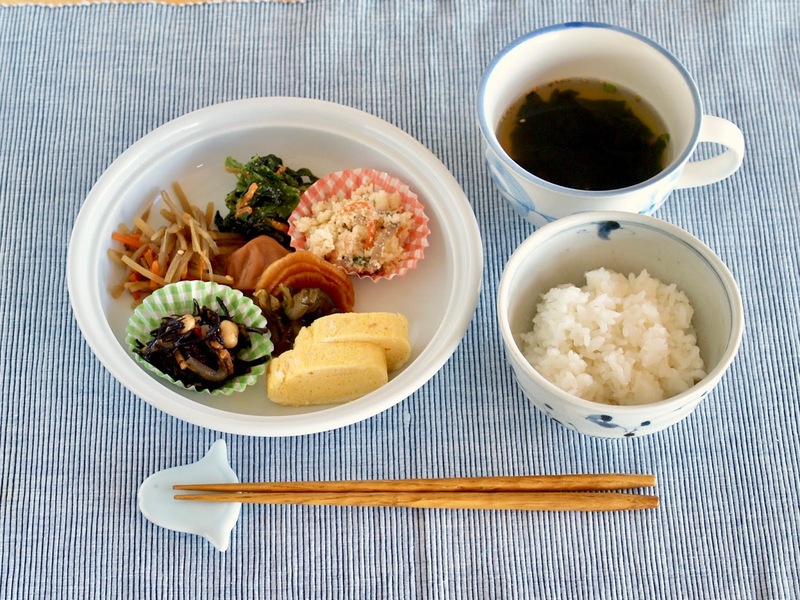 In particular, the moisture content of new rice is higher, so less water is needed. Here's the technique I saw on TV how to get hard-boiled eggs that peel beautifully! NOTE: Use cold eggs right out of the fridge! (to prevent eggs from hitting the bottom of the pot). 2. Tap each egg with a spoon to make cracks in the bottom of the shell. OR you can poke a small hole using an "Egg Hole Puncher". 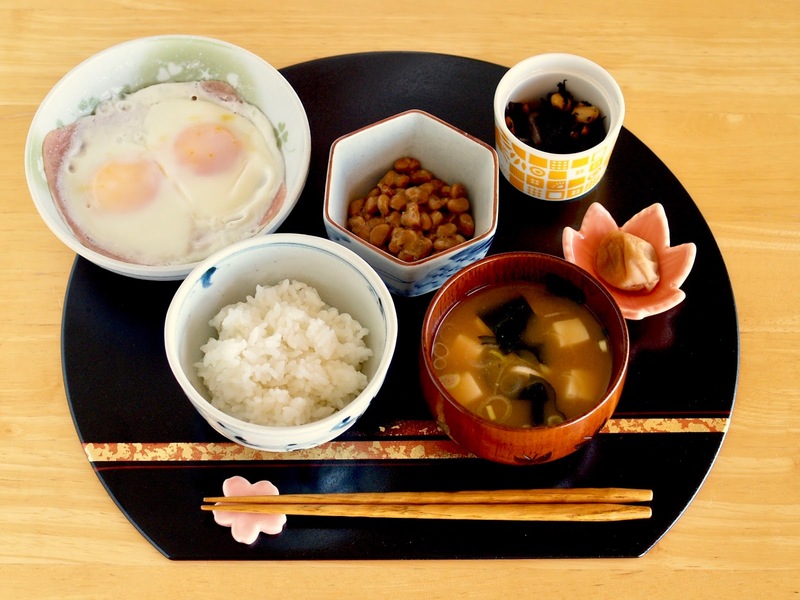 (The water goes in between the egg and the shell which helps the shell to come off). 3. Place the eggs in the strainer (boiling water), the crack-side up (to let the water in). Anko (Azuki Red Bean Paste) is an indispensable ingredient in Wagashi (Japanese confections) found in a wide array of Japanese sweets. 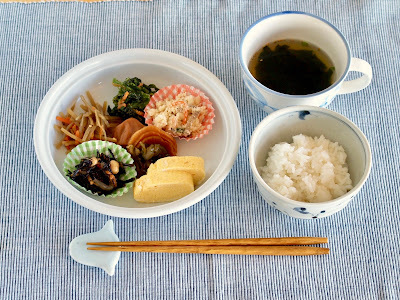 This video will show you how to make Anko from Scratch. 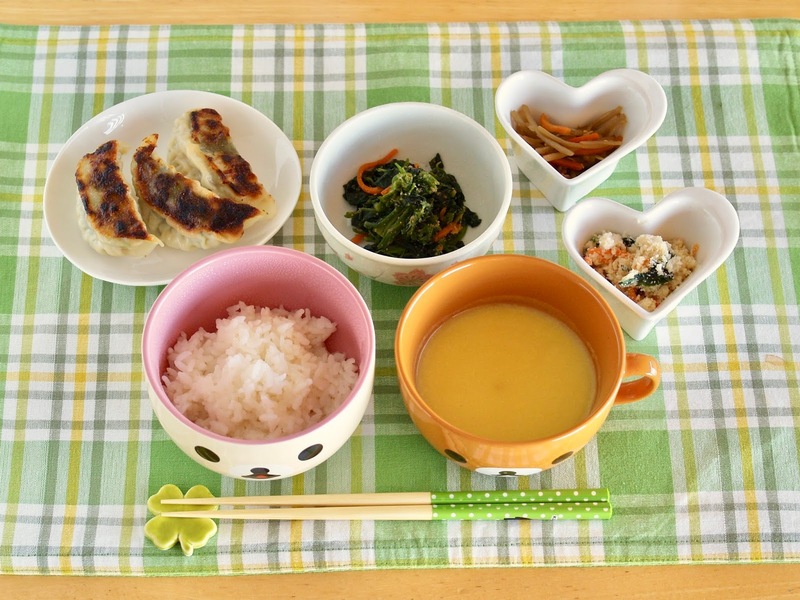 Anko filling and topping can be used to make so many healthy Japanese desserts!!! 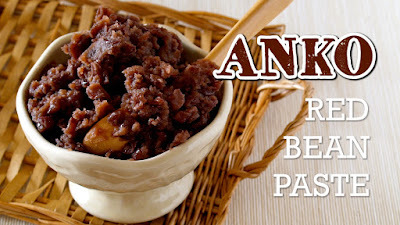 Sweet Azuki Red Bean Paste with Skins is called "Tsubu-an". "Koshi-an" (Sweet Azuki Red Bean Paste without Skins) is prepared by passing through a sieve to remove all bean skins to make it smooth. 1. Put Azuki beans in a pot, add plenty of water, bring to a boil, then drain well. You want to repeat this for 2-3 times to remove the harsh taste if you have time. But just once is okay. 2. Add 3 times as much water in the pot, bring to a boil, then simmer on medium for an hour, removing the foam and adding enough water to cover if necessary, until the beans become soft enough to break by pressing with your fingertips. 3. 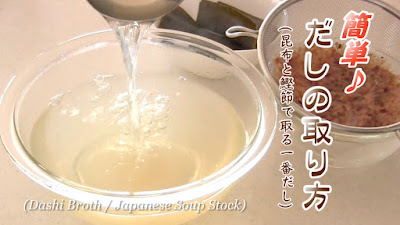 Drain excess water, add sugar, then cook until the mashed-potato-like consistency. Add salt to taste and stop the heat. It is bit soggy when it is hot but it hardens when it becomes cold. You can keep it in an air-tight plastic wrap, or a zip-lock bag, in the fridge for a week, in the freezer for a month. Salted Preserved Lemons are the lemons that have been pickled in salt for about a week or more. 1. Pour some hot water in a glass jar to disinfect it. Empty the jar and dry it out. It will dry quickly with residual heat. 2. 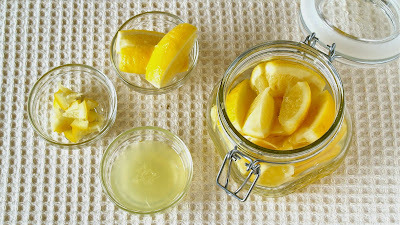 Wash the lemons, dry them with paper towels, cut off and discard the end pieces, cut into wedges, then remove the seeds. 3. Put salt and lemon wedges alternately in the jar. Close the lid securely. 4. Keep it in the fridge for a week. Shake the jar once a day. * You can keep it in the fridge up to 3 months. 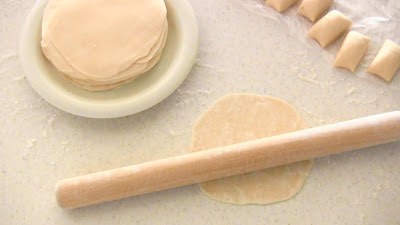 This video will show you how to make Gyoza wrappers at home. 1. Sift together cake flour and bread flour for 2-3 times. 2. Mix salt in warm water. 3. Add salted water little by little into the dry ingredients, using a spatula or a spoon to mix, until you can form the mixture into a ball with your hands. Knead the dough for about 7 minutes. Add more water or flour depending on the consistency. 4. Shape the dough into a log and wrap in plastic wrap. Rest the dough at room temperature for at least 30 minutes. Meanwhile, you can prepare the filling. 5. Cut the log into 25-30 pieces. On a lightly floured surface roll out each piece into a 3.7-inch (9.5cm) circle. (Make the outer edge thinner than the center, if possible.) Dust it again with flour and stack it up. You can cut out with a circle cookie cutter to make perfect circles. Wrap tightly in plastic wrap and keep in the fridge (up to 3 days) until ready to use. Last week, I won a package of beef at the recipe contest. And along with the beef, I received a letter with some tips to enjoy Yakiniku indoors and I never knew them! So, I will share those tips with you!!! 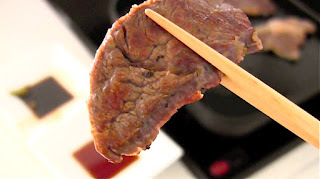 BTW, in Japan at home, we usually use electrical barbecue called "hot plate " to cook Yakiniku at table. I really envy those who have barbecue set at home! We don't have that big yard in Japan, you know… And sadly, from this April, our closest BBQ spot is going to close because of the littering problem. Pink, red, brown, or etc… what color of the meat is the best? Don't forget to season the meat with salt and pepper before you cook. That definitely brings out the flavor of the meat. For the sauce, wasabi soy sauce or ponzu sauce is the best! Simple yet delicious! You have to try it out. *Grill the meat until it's done to your taste! I hope you found this video informative!! !